The Immortal Iron Fist is no more – on Netflix, at least. It’s become the first Marvel show to be dropped by the streaming service. The series told the story of Danny Rand, a billionaire who mixed martial arts skills with mystical powers. It had a bumpy start, but a better-received second season – so what could it have done differently? Iron Fist fans certainly have a lot of thoughts. The Iron Fist character dates back to the 1970s – it was created by Roy Thomas and Gil Kane as a nod to that decade’s obsession with martial arts heroes. Marvel Studios first began trying to adapt Iron Fist for the big screen in 2000. That didn’t work out, but over a decade later they got the go ahead for a Netflix adaptation. And Iron Fist’s problems began before the series even began filming. 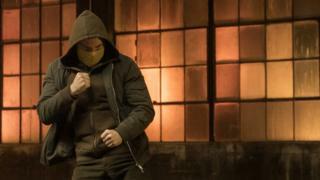 In the comic and on-screen, Danny Rand is portrayed as a rich, white man who learns martial arts in a mystical city called K’un-Lun. But, as fan Alvin Shum told Newsbeat, many saw it as a missed opportunity to cast an Asian actor, given the character takes so much influence from a fictional Asian culture. He said: “I get that Iron Fist and Luke Cage comics came from the 1970s Kung Fu and Blaxploitation movie genre, but while Luke Cage had something interesting to say about modern black culture, as an Asian guy I was stuck with a rich white man. Again. As far back as 2014, there were calls to cast an Asian-American as Danny Rand. And when Finn Jones was announced as Iron Fist’s lead, Vulture’s E. Alex Jung pointed out it would have been Marvel’s first Asian-American lead. Chris McGuinness from Glasgow said the casting was an issue not just because of diversity. “Ultimately they could have overcame that issue if the actor had charisma to pull it off, but I found Finn Jones to be very wooden and his fights were also the poorest executed,” he said. This wasn’t the case for all characters – Chris added that Jessica Henwick as Colleen Wing, who in the comics forms a crime-fighting duo with Luke Cage’s Misty Knight, wasn’t given enough to do. The way Danny Rand gets his powers is by ripping the heart from a dragon – as you do. But this wasn’t shown on TV. Ian Craig from Newport, who says he’s been a fan of the character for years, said the series just wasn’t up to scratch in comparison to the comics. “Quite how you can make two seasons of a TV show about a character whose origin involves ripping the heart out of a dragon and not actually show him ripping the heart out of a dragon, I don’t know,” he said. Iron Fist came hot on the heels of the other Marvel Netflix series’ – Daredevil, Jessica Jones and Luke Cage – which were well received. In comparison, Iron Fist’s first series was far from critically acclaimed. On Metacritic, the first season scores just 37 out of 100. Its second series fared a little better – but it may have been a case of too little, too late. Iron Fist is not without its fans. As is usual after a television show cancellation, a petition has been set up to try to convince Netflix to save it. So far it’s got around 10,000 signatures. Others are clinging to the hope Iron Fist’s characters will reappear elsewhere. Some people think this mean the character will pop up in other Marvel shows. They’re definitely keeping us guessing. ← If you were lonely, would you talk to a stranger? Is Rosie Oâ€™Donnell about to break the internet?